Just like in my previous post, this month’s unboxing of the LookFantastic Beauty Box is really late – as I kept missing my postman’s attempts to deliver my parcels. The postal system is pretty screwed up over here, particularly in my apartment block as there are 3 layers of security to get through before anyone can get to my house door, so the postman cannot even leave the mail lying around for me to get home to. This month’s theme is “#LFBeautybox’s 2nd birthday”, to celebrate their 2nd year of beauty box! It’s supposed to have everything needed to glam up and celebrate with them. 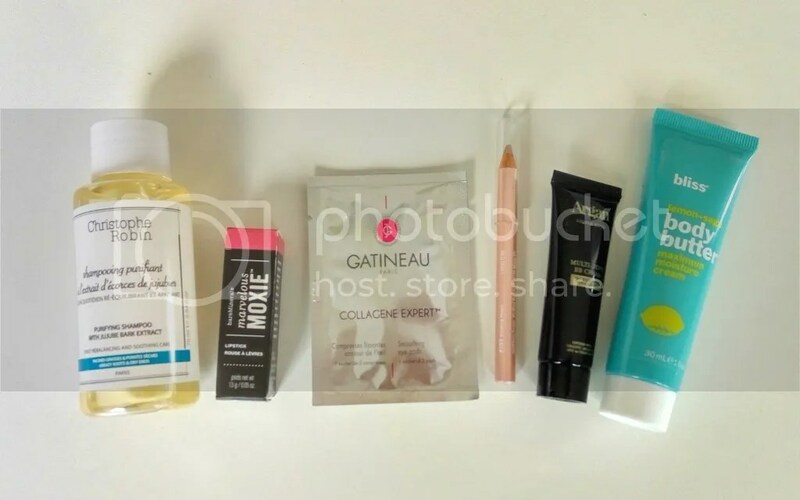 I’ve received a lot of Christophe Robin products from the LookFantastic Beauty Boxes and I’ve liked most of them so I’m expecting good stuff from this. This is such a gorgeous shade of lipstick! I’m so happy with this – it’s the perfect dark pink for Fall, not too vampy and not too baby doll. I’m so in love with the colour. The texture is also really good – very buttery and it’s very pigmented. Would you look at the pricing for these?! Unless they’re capable of erasing wrinkles permanently, there’s little chance of me purchasing them so I’m glad I have these to try. The pamphlet that came with the box says that this is a highlighter that can double as a concealer to mask dark circles. I don’t know how that would work out as this is a very skinny pencil and it’s shimmery – I am not putting shimmer as a concealer. I think this is one of those moments where the companies just go wild with whatever is the trending word of the moment – and this time is “strobing” so they decided to just plaster the word on anything. Another company that has gone mad with their pricing. It’s ridiculous, given that it doesn’t feel like a luxurious brand. I’m happy to pay for luxurious products as a treat now and then, but I must feel like they are worth it and this does not. It smells nice though. We’ve used up tons of these body butters before so I’m glad to get a small travel size of it! The hubby is a big fan of the scent and it has a really nice creamy texture but isn’t too oily. The saddest thing of all about this month’s box – there’s no more Elle magazine! The magazine is what I look forward to the most every month from this beauty box and I am so sad that it is not included! Please bring it back! Even though I’m missing the magazine, I’m truly happy with this month’s box! 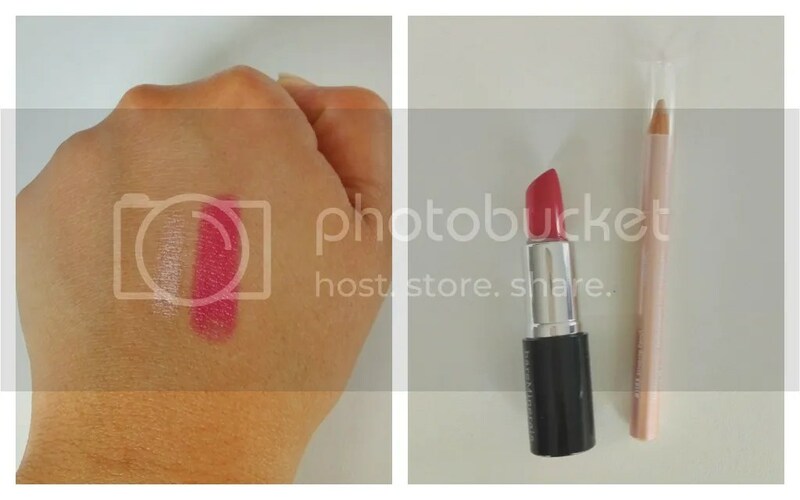 I love the lipstick – it’s a really gorgeous shade of dark berry pink and I think it’s perfect for Fall! There’s also 2 makeup items in this month’s box, which is rare – usually there’s tons of skincare items, so I feel a little spoilt this time around. Did you get the Lookfantastic Beauty Box too? What do you think of it?